Will Your Next IT Job Come Via Text? Who do you text? Friends? Family? How about your IT recruiters? IT staffing firms are texting with job seekers more and more frequently. Perhaps more surprising is that research says that many candidates are ok with it– and sometimes initiate it themselves. Why is texting now a mode of communication that IT recruiting companies use? Likely, one of the biggest reasons you might be getting texts from your technical recruiters these days is the prevalence of cell phones and texting. Studies show that not only do nearly all American adults have a cell phone, but most check their cell phone frequently. Though the numbers vary, Americans can spend between 2 and 5 hours on their cell phones, collectively, over the average day. Most people break that up into many short sessions, but the amount is still staggering. It also makes it easy to see why IT recruiting agencies use text to reach out to job seekers: they’re very likely to check the message. Recruiters aren’t just texting candidates because it’s a reliable way to reach them. They’re also doing so because candidates are generally ok with it. Again, numbers vary, but job seekers still tend to see IT recruiters who text as trustworthy professionals (depending on what survey you’re looking at) between rates of 40%-70%. Perhaps what’s most interesting about this is the fact that these numbers aren’t all within younger demographics. Job seekers older than millennials also seem to be fine with texts from their recruiters. Everyone seems to be ok with texting during the job search—both candidates and recruiters alike. The last reason you might be getting texts from your IT recruiting firms is that sometimes a text just works best for a given situation. Candidates who can’t pick up the phone during a workday are more likely to respond to a silent text message. Candidates who are on their way to an interview might need to shoot their recruiters a quick text confirming they made it, asking for directions, or coordinating meeting. 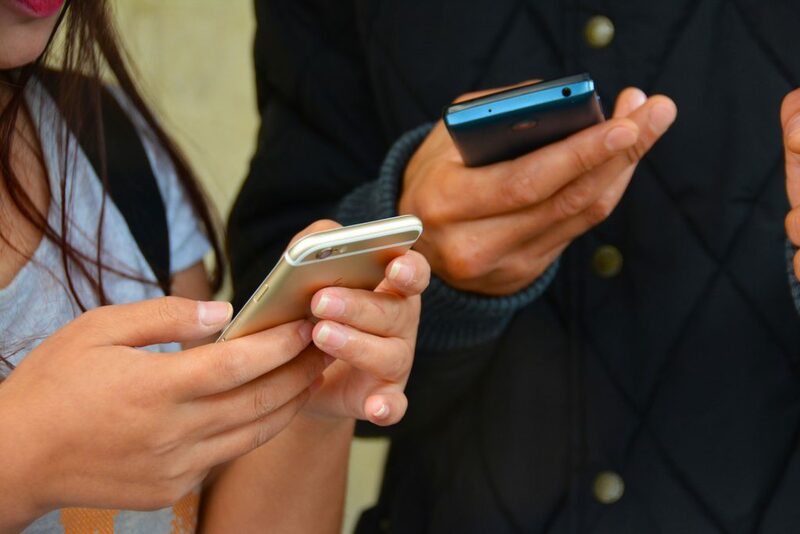 Considering the fact that most text messages are opened at a rate near 100% of the time, it’s not shocking that IT recruiters are now texting with their candidates. Sometimes a text is just easier– even during your job search! Texting with IT recruiters has become more common recently. Photo credit: terimakasih0 via Pixabay. This entry was posted on Wednesday, November 8th, 2017 at 9:32 am and is filed under Advice from IT Recruiters, IT recruiting . You can follow any responses to this entry through the RSS 2.0 feed. Responses are currently closed, but you can trackback from your own site.